I have once mistaken a ukulele into a guitar. 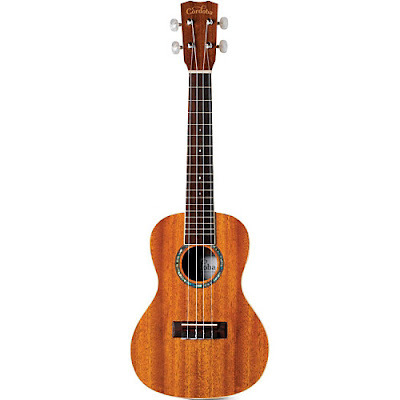 Both have a number 8 body shape though ukuleles are also available in a non-standard shape, such as cutaway shape and an oval, usually called a "pineapple" ukulele. Ukuleles are also smaller and it only has 4 courses of strings. Ukulele is sometimes abbreviated as uke and is actually a member of the lute family of instruments. Some known and good ukulele brands are Alvarez, Alfred, Diamond Head, Hal Leonard and more. MOLITO's COOL SUMMER – Ice Cream, Desserts and More Festival 2016! I'm sure you'll all agree with me that this year is by far the hottest summer ever. Mr. Sun is surely doing its job pretty well. But without a doubt, summer is still one of the most awaited seasons every year, right? It's during this season that we get to go on vacation getaways, spend more time with our loved ones, get reunited with some important people in our lives, have fun and of course eat! The scorching summer heat is more than enough reason to munch on some of summer's all-time favorite food like halo-halo and ice cream to name a few. 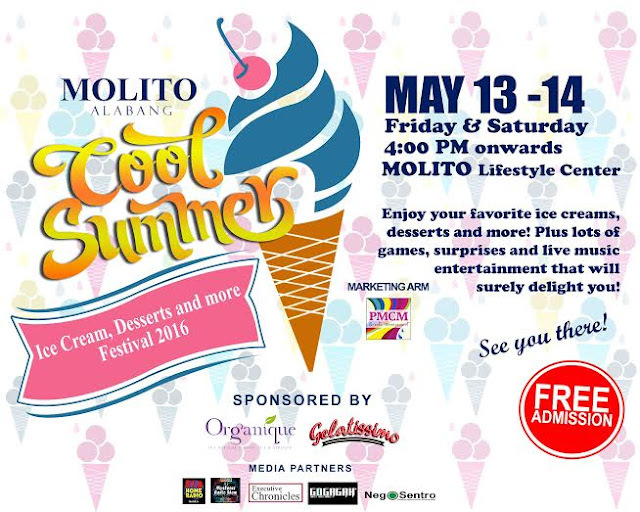 Recognizing this situation that us Filipinos go through every summer, Molito Alabang launches its very first COOL SUMMER – Ice Cream, Desserts and More Festival 2016. It aims to bring the whole family together in a fun-filled and entertaining event that would make summer really enjoyable. It will be held on May 13-14, 2016 (Friday and Saturday), starting 4:00PM at the Molito Lifestyle Center. The Molito Lifestyle Center is a truly a perfect spot. Situated in the affluent locale of Alabang in Muntinlupa City, the name MOLITO is actually a Spanish word which connotes a “little mall”. 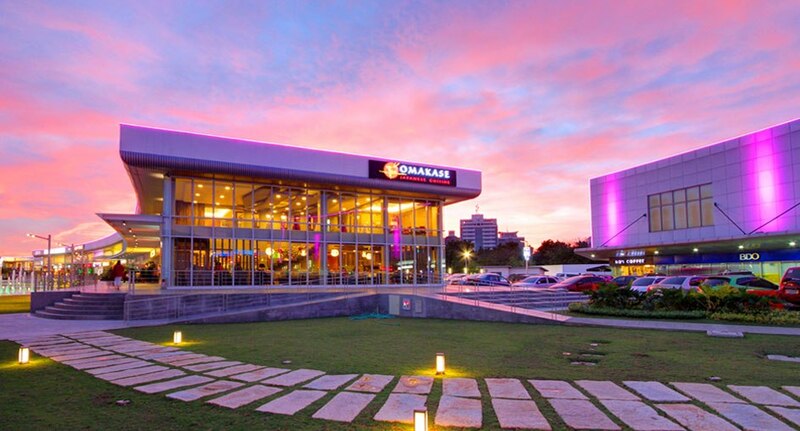 It’s peaceful and breezy ambiance is perfect for relaxation, family dining, get-togethers, business meetings or to just simply chill the night out while having your favorite drink or coffee. 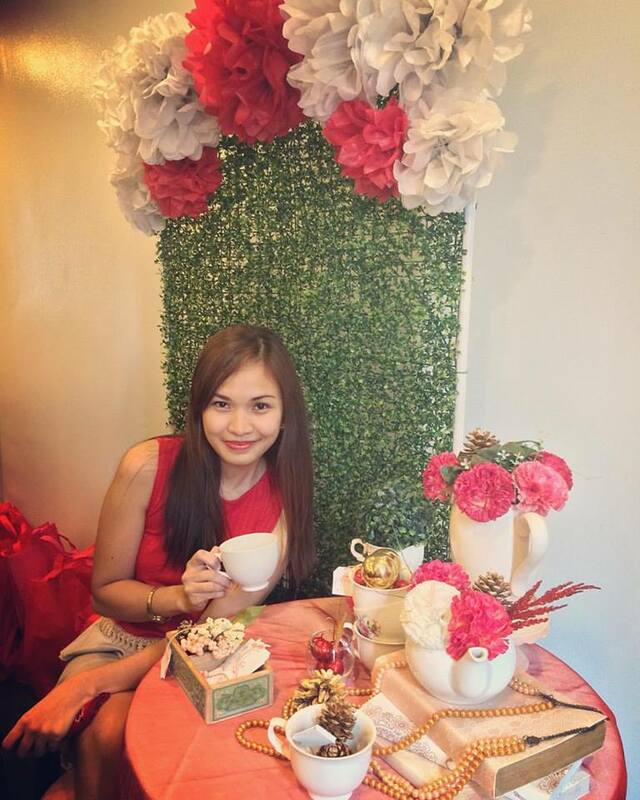 Indeed, Molito is a place for those who want to lighten up away from the crowd. Molito has a colorful floor fountain that matches the beautiful green lawn where children can play and the landscape is very conducive to casual chilling amidst the night wind. highlighted. There will be booths from the exhibitors and sponsors showcasing their products. Visitors will be surely delighted with the free products (samples), games, raffle and live music entertainment from guest bands. Admission is free. MOLITO Alabang Lifestyle Center is a popular amusement park in the southern part of Metro Manila during the 80’s – “Big Bang Sa Alabang”.From what used to be barren land, now home to one of the ideal and thriving lifestyle destinations in the south. 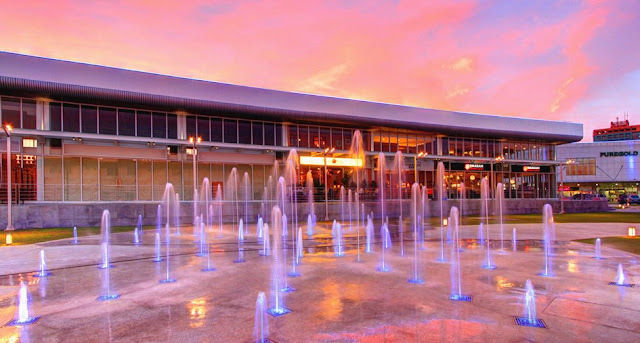 Very soon, the Molito Lifestyle Extension area will open showcasing new restaurants, health and wellness establishments, retail and other lifestyle shops. With its mix of stores, Molito will cater to the needs of different customers that will definitely suit their lifestyle preferences. MOLITO Alabang is indeed a true haven for those who love simplicity and elegance. It continues to aspire to make one’s stay a worthwhile experience because MOLITO believes that what matters is the personal connections that kindles our love for community life in our own distinct styles. See you all there South peeps! For more information on Super8 Grocery Warehouse and the Super8 Rewards Card perks, like their Facebook page,www.facebook.com/super8.ph, or visit one of their branches in over 50 locations in Metro Manila and surrounding provinces in North and South Luzon. The hottest, grandest and much-awaited star-studded announcement of the ultimate Superbods 2016 took place last April 10, 2016 at the Palace Pool Club in Bonifacio Global City, Taguig. Truly a fitting celebration to mark the 10th anniversary of the biggest health and fitness event in the country that began in the summer of 2006. All 26 Superbods Finalists put their best foot forward in all their performances that night, from the beginning, to swimwear and summer outfit competition up to the Question and answer portion. Each one of them raised their game as they proved themselves worthy of the Superbods 2016 title, surely giving the judges quite a hard time deciding. 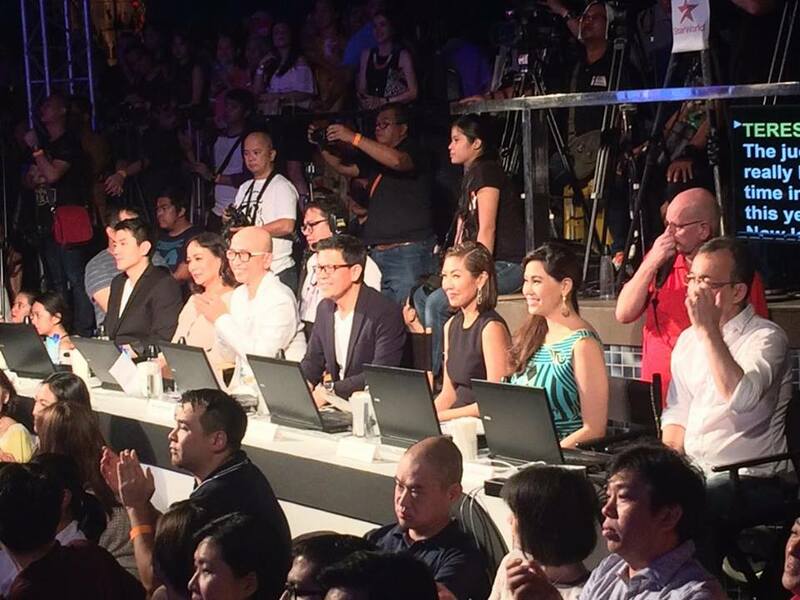 A most impressive panel of judges has been put together to choose this year’s winners: Century Pacific Foods, Inc. General Manager Greg Banzon; Miss Universe 1969, actress and Century Tuna endorser Gloria Diaz; fashion editor and stylist Liz Uy; basketball superstar Jeron Teng; Mediaquest and TV 5 President & CEO Noel Lorrenzana; Intelligent Skincare Inc, a unit of the Belo Medical Group Managing Director Cristalle Belo-Henares; and PC&V Communications President and Chief Creative Officer Ariel Comia. But there's only 1 pair to that reigned supremacy...Congratulations Tom Esconde and Olivia Medina! 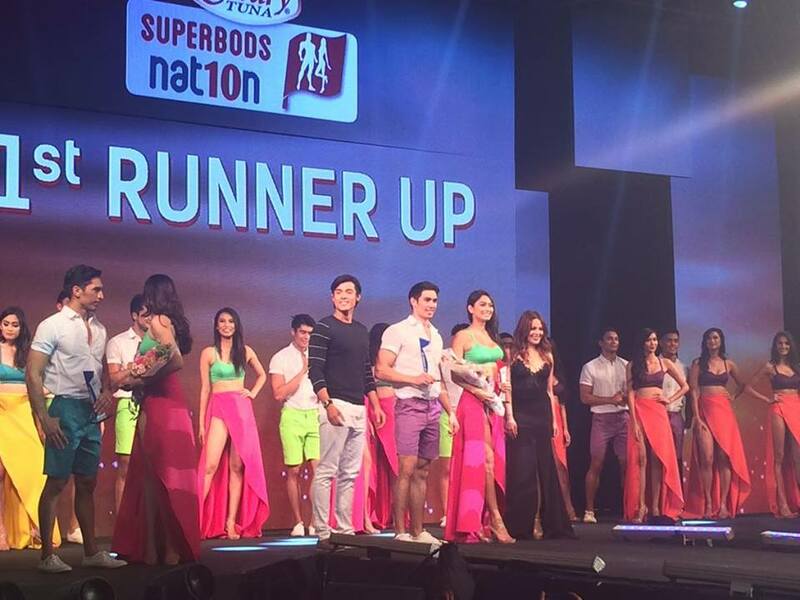 Apart from the Superbods finalists, the night sizzled even more as some of the hottest celebrities who are also past and present Century Tuna endorsers walked the runway. Joining Ultimate Superbods Anne Curtis and Derek Ramsey are Andrew Wolff, Isabelle Daza, KC Concepcion, Phil Younghusband, Gerald Anderson, Aljur Abrenica, Paolo Avelino, Elmo Magalona, Jessy Mendiola, Xian Lim, and Solenn Heussaff. Past Superbods title holders also reunited at the event and they definitely gave justice to their titles as they are still as fit and glamorous as before. 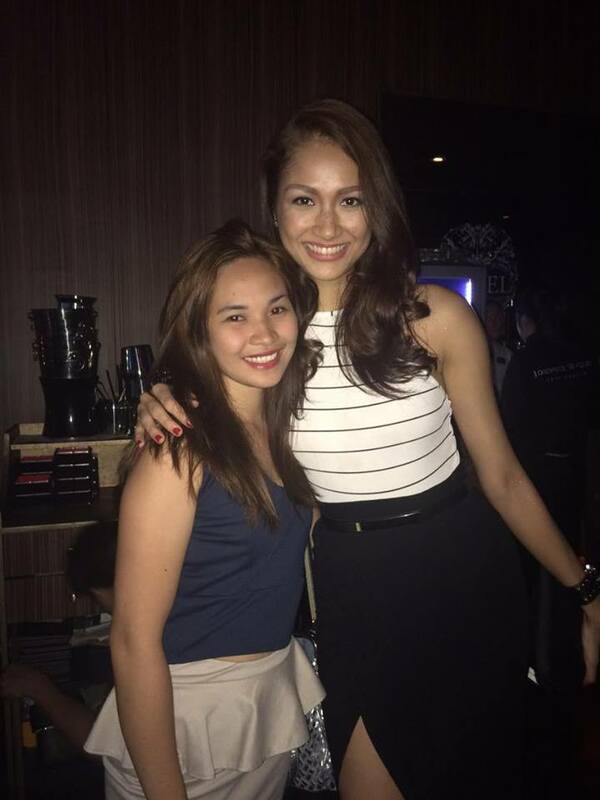 With Monika Sta. Maria Century Tuna Superbods Grand Winner 2012. I was so kilig that moment, I'm such a fan! 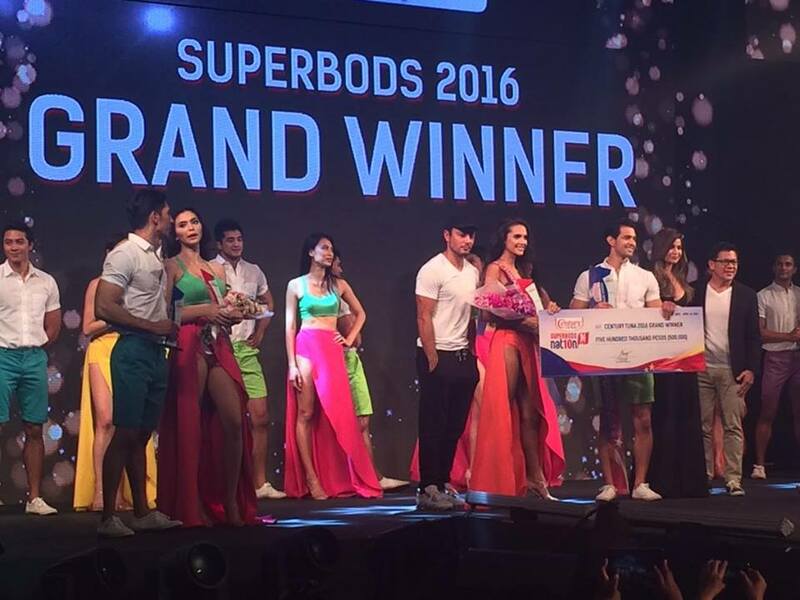 And the Superbods Nation 2016 Grand Winners are Tom Esconde and Olivia Medina taking home P500.00 each. 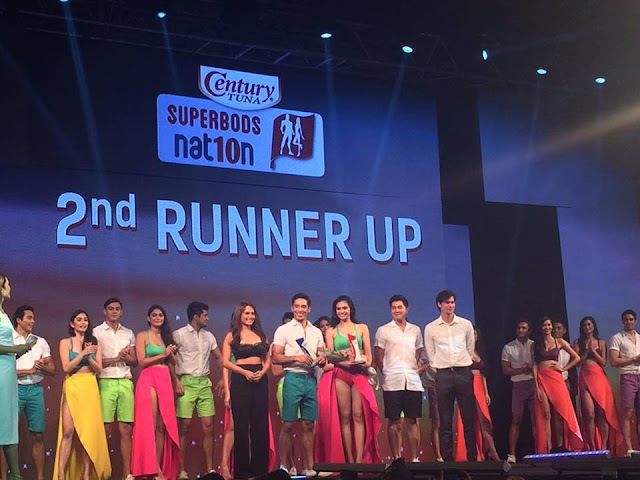 Without question, the Century Tuna Superbods Nation 2016 Finals Night is this year’s most fantabulous summer event with unwavering commitment towards promoting a lifestyle of health and fitness! I personally love coconut water, that's why I'm happy to know that this all time favorite beverage now comes in a handy pack which I can take anywhere and anytime! 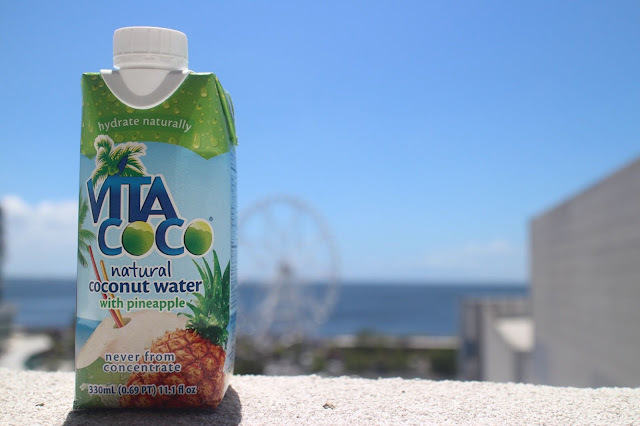 Vita Coco is the #1 packaged coconut water brand in the US and the world. 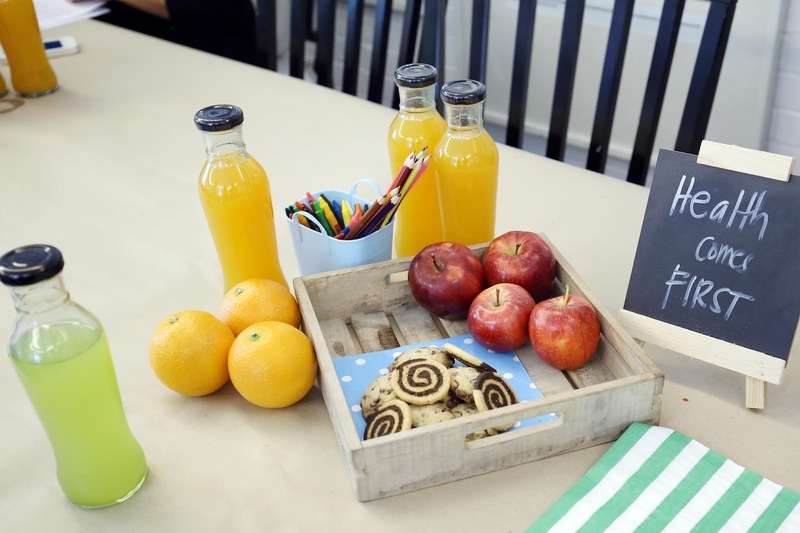 Aside from its plain coconut water they introduced a new drink that combines the delightful goodness of pineapple and the healthy benefits of coconut water. Introducing Vita Coco Natural Coconut Water with Pineapple, a potassium-packed coconut water now infused with the delicious fruity note of pineapple. 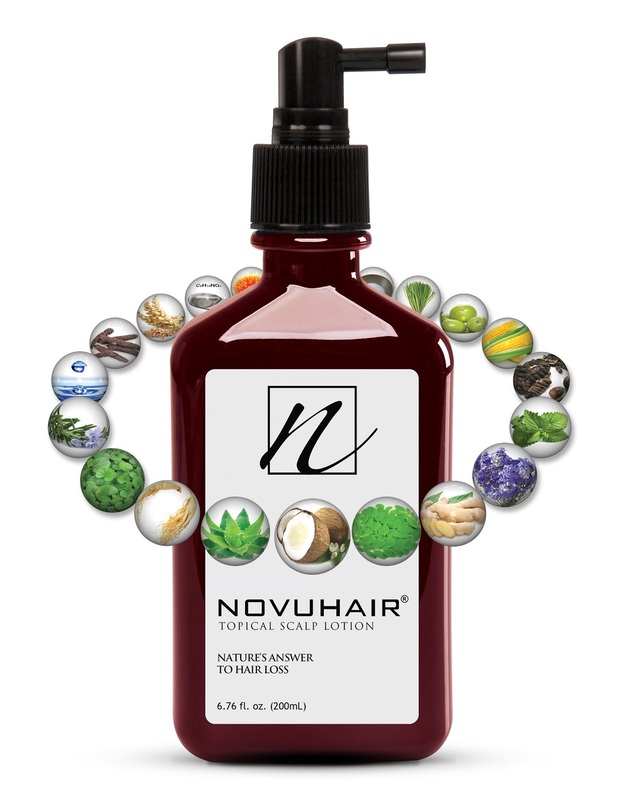 Hydrating naturally has never been more fun and healthy! I've always dreamt of having my own business and of course a world class and a conducive office to work in to. Who wouldn't want that, right? And, probably the reason you're here right now is because you have a business or planning to put up a business and you are searching for a perfect workplace. Because let's admit it, workplace plays a big role in a company's success. But as we all know, building your ideal office is not easy and not to mention, it's expensive. Of course I am not discouraging you, as a matter of fact I am here to let you know that there's a solution for your office needs that CEO Suite can provide. 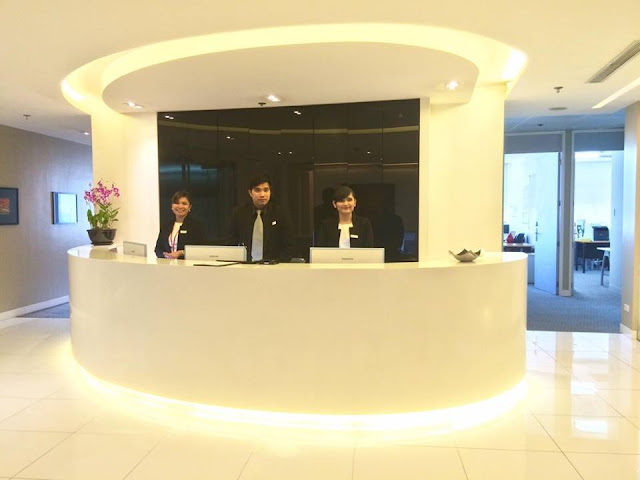 CEO Suite is the only one-stop serviced office and virtual office provider run by multi-cultural industry experts in Asia. 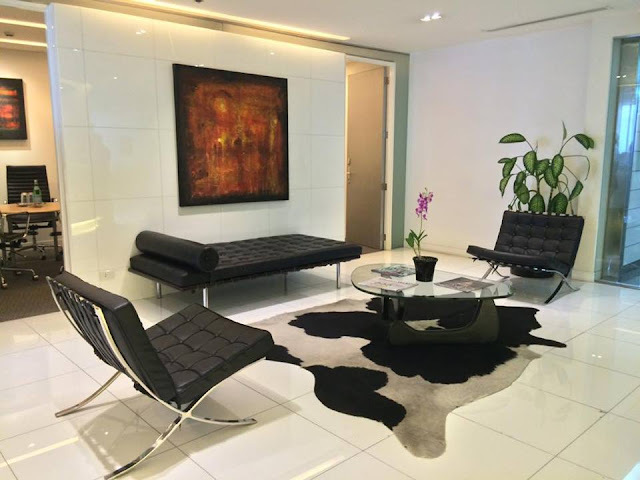 CEO Suite provides different services for clients who need serviced offices, instant office, virtual office and professional services for their companies. And the good thing is their furnished offices can be rented on a daily, weekly, monthly or yearly basis, whatever your requirement demands. As for the virtual office, you will have a designated phone number, which will be answered by CEO Suite's trained staffs who will then forward to your desired number. You can even use their email address extension and emails will be forwarded to you. Cool isn't it? So, Why Choose CEO SUITE? Most efficient and prestigious means of establishing your business in Asia with 650 ready to occupy premium furnished office suites in various sizes and layouts. Positioned in Asia’s most prestigious Grade A buildings in the CBD. CEO SUITE takes pride in the selection of quality buildings only in the best business locations as your virtual office. All office facilities combine advanced technological innovations and design sophistication with unique fengshui considerations for maximum comfort. It takes one phone call to resolve any business hurdle at CEO SUITE matching you with the right business partner for any corporate requirement. Through consistent delivery, credibility and dependability, CEO SUITE has emerged as a trusted choice for many blue-chip multinational companies. 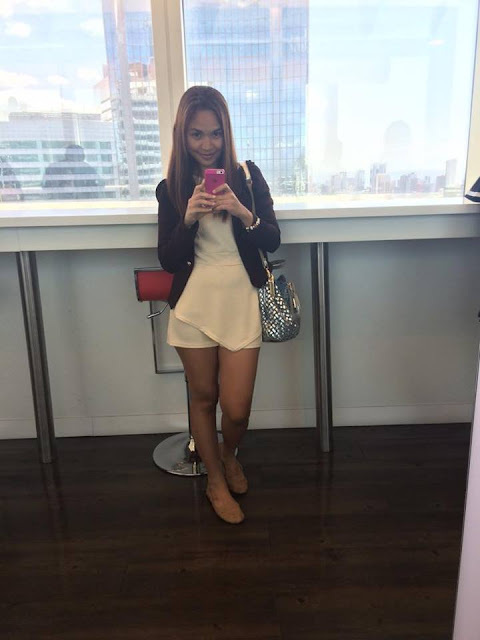 It was last April 8, 2016 when I together with my co-bloggers got to know more about CEO Suite and we got the chance to tour its center here in our country which is one of the tallest buildings at Makati Central Business District, the LKG Tower. 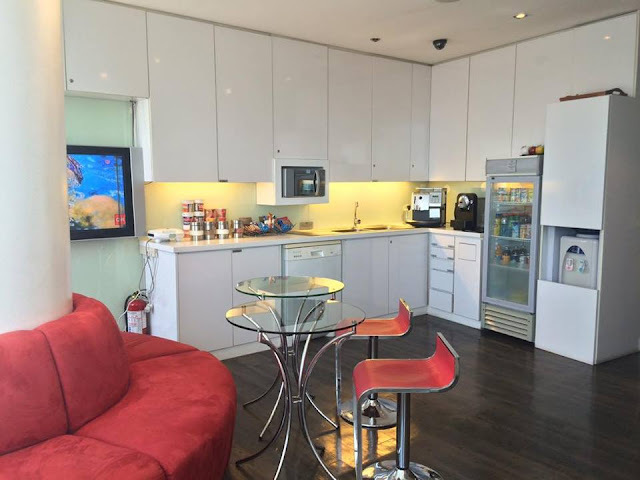 The CEO Suite is located at the 37th floor of LKG Tower providing a 360 degree view of the Makati CBD, which somehow gives a relaxing vibe while working. 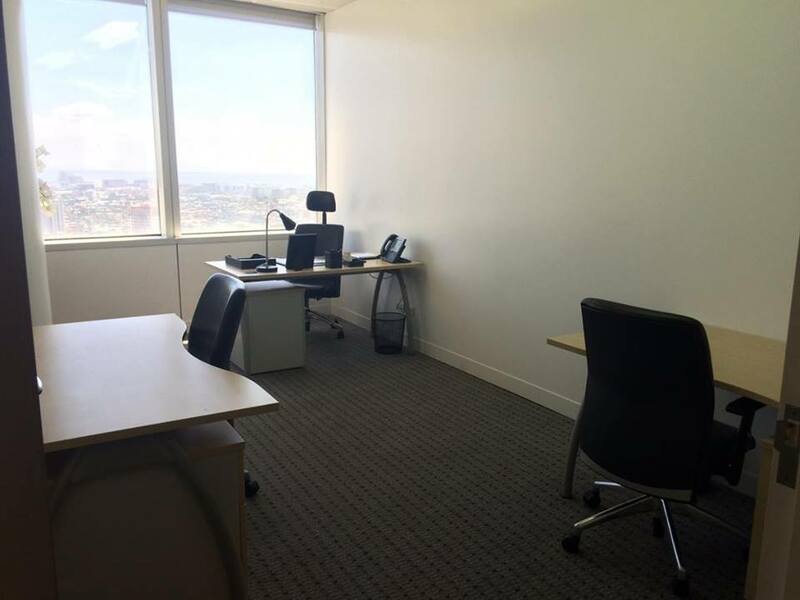 One of CEO Suite's furnished serviced office for 3 people. It's actually a hallway with built in table and has chairs with a huge mirror at the opposite side. With all the demands in today's fast paced life, it's no doubt that stress is a common denominator to everyone. That's why it's really a must that we allot time for some rest and relaxation to recharge ourselves even just once in a while. I know I'm speaking for the majority when I say that the best way to do that is to get a pampering body massage! Ahhh! the thought of it somehow gives me a relaxing vibe which is what I badly needed right now. And, I know exactly what I want this time. The Balinese Massage which is a new offering from BlueWater Day Spa and the first one in the country. So read on to know more about it. Bluewater Day Spa is one of the country’s leading chain of day spas and has been the day spa of choice for many as it offers a truly holistic approach to beauty and wellness. 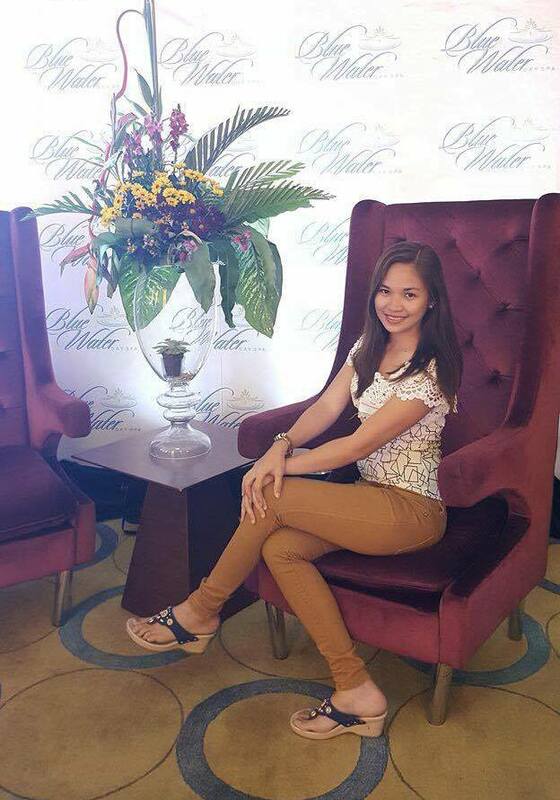 Last April 5, 2016 at the Luxent Hotel, BlueWater Day Spa marked two wonderful milestones as it announced the addition of some of the country’s most well-loved actresses to its roster of brand ambassadors as well as the launch of an exciting new service. It was a star-studded event, with hosts Fabio Ide and Ariella Arida (3rd runner up Miss Universe 2013). As such, BlueWater Day Spa introduced its current lineup of brand endorsers starting with the freshest faces from Mercator talent agency. Following the roster of models from Mercator, BlueWater Day Spa was happy to introduce the young and good looking talents from the Kapuso network – GMA-7, who are also part of BlueWater Day Spa’s roster of brand ambassadors. 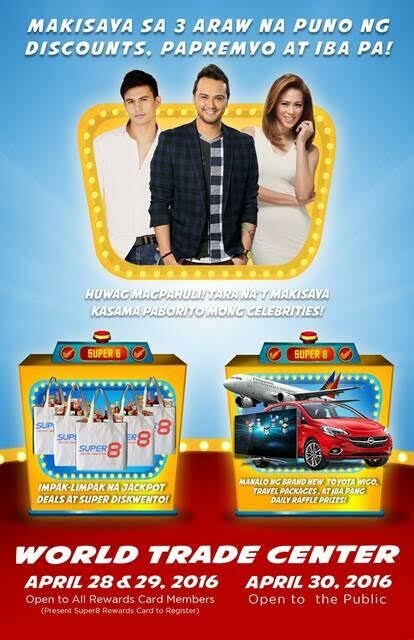 Composed of Mike Tan, Ervic Vijandre, Benjamin Alves, and Aljur Abrenica. 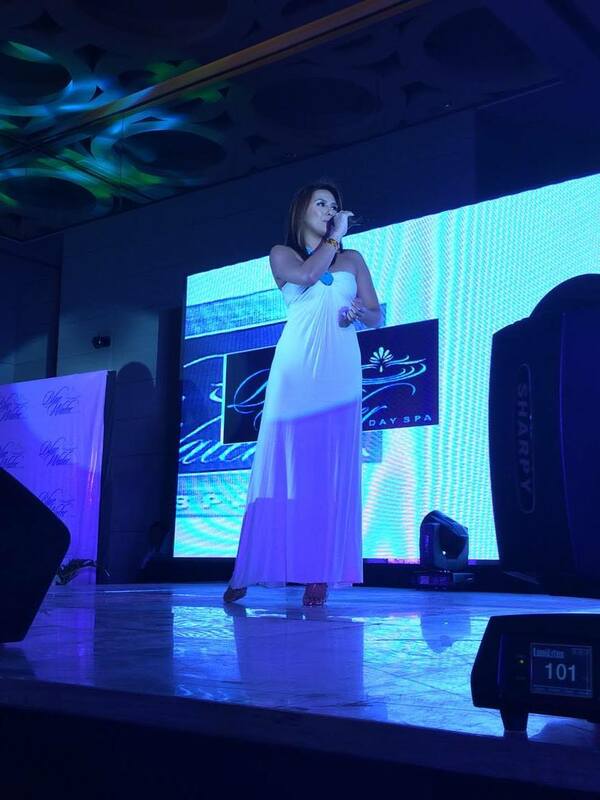 Then Nikki Gil performed a beautiful song number as she was also formally introduced and welcomed as part of BlueWater Day Spa’s growing family together with the young athlete, Anthony Semerad. Last but definitely not the least, BlueWater Day Spa is proud to welcome another well-known talent to its roster of brand ambassadors, Kim Chiu who is the new face of their latest service offering. The Traditional 4-Hand Balinese Massage which is also called the Twin Touch is something worth trying out on your next visit to BlueWater Day Spa. Be swept away into a relaxing dream world, while two therapists work in unison, perfectly coordinate on both sides of the body. It has a special introductory price plus avail of their ongoing Summer Promo up to 50% off on this plus other selected treatments until May 31, 2016. BlueWater Day Spa and its brand ambassadors serve as inspiring examples that in spite of being go-getters and achievers in their own right, it’s imperative that they also make time to take care of their bodies to lead a more fulfilling, balanced life. So go ahead give yourselves some rest and relaxation time! Don't forget to bring your friends and family and treat them to a wonderful experience at BlueWater Day Spa. Joie™ is a UK brand with extensive award-winning product line that makes life with children less work and more fun! Its versatile collection of baby gears from strollers, to car seats to playards offer the highest standards of design, engineering and safety. Each product has a unique parent-friendly features to address the needs of every growing baby. Security, functionality and durability are its key attributes allowing multi-stage use from infants to children. Stronger: Every product endures thorough and extreme testing through fully customized testing regimens and everything is assembled to ensure all works perfectly before shipment. Better: With highest quality plastics, tough and durable strength fabrics and undiluted, uncompromised materials. Safer: Our exclusive car seat testing facility features the most accurate technology for crash test simulation and aids in manufacturing car seats with ultimate quality, precision, and structural integrity. 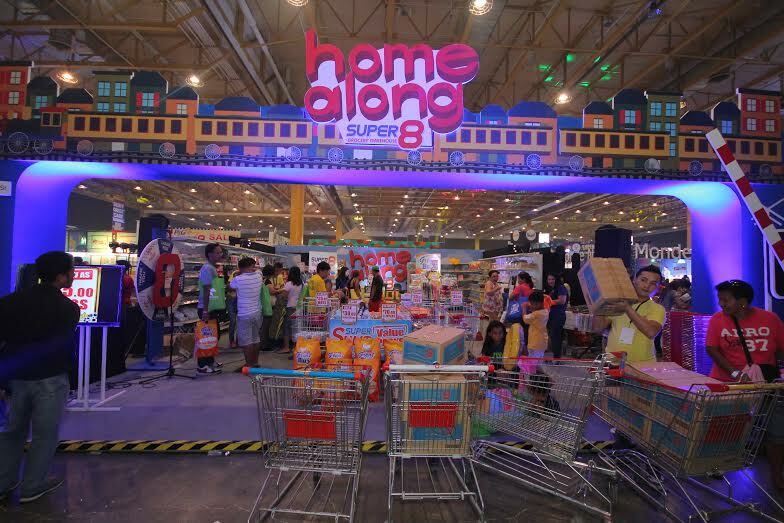 To spread the joy of this new brand, Europlay Distributor Co. Inc. partnered with Baby Company and Smart Parenting as they will officially launch their full line of products here in the Philippines. 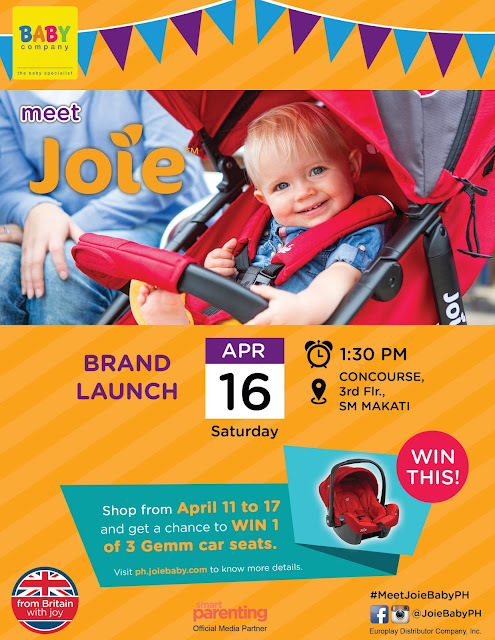 The ‘Meet Joie Brand Launch’ Event will be on April 16, 2016 at The Concourse SM Makati. It's going to be an exciting celebration as there will be open discussion from well-known personality, talks about safe travel guide with babies, car seat product demo, and stroller exercises. In between the discussion there's going to be games and raffle prizes to liven the guests and participants. And, to make it even more exciting, a grand raffle of Joie Gemm Car Seat will be given to lucky guests with 1,000 pesos minimum purchase at the Summer Baby Sale Event from April 11-16. 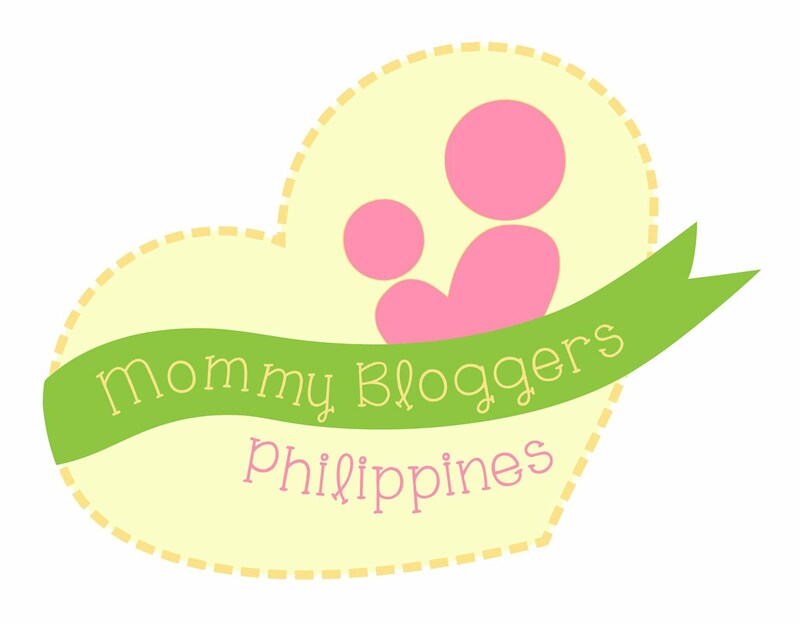 Guests who will pre-register at www.ph.joiebaby.com/register until April 15 will also get the chance to win in the grand raffle. Apart from these, guests can also enjoy amazing discounts and treats from other participating brands. See you at the event and together let's "Meet Joie™! Joie™ is exclusively distributed by Europlay Distributor Co. Inc.
Like any other mothers I strive to keep my family healthy by practicing basic health measures and by continuously staying updated on current healthcare issues. However, the fact remains that there is still so much more that can be done to improve the health of every family and the nation. Good thing, we have the World Health Day to celebrate yearly and to remind us that health should always come first. 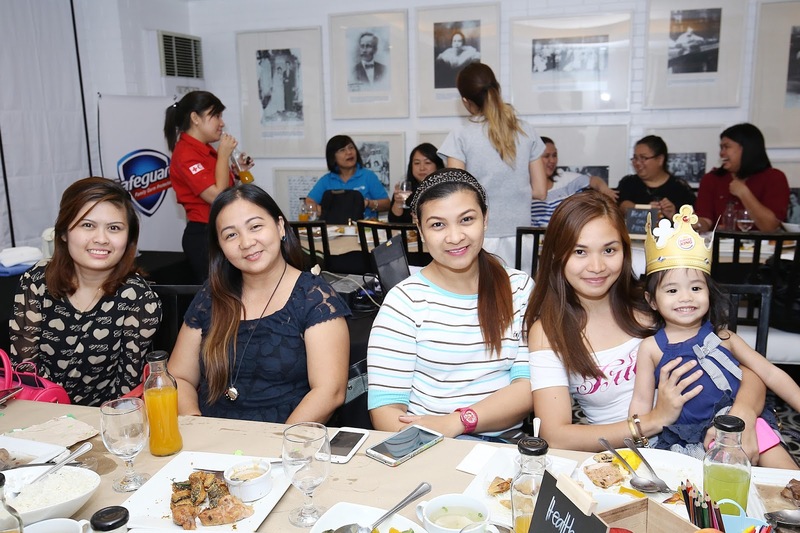 And, in celebration to this years World Health Day which was last April 7, 2016, Safeguard launched "Health Watch", a lecture series aimed to equip Filipino moms with the information and the skills that they need to continue to keep their family healthy. It was a privilege to be one of the mommy bloggers who get to attend the first Health Watch lecture held last April 6, 2016 in Makati City. UNICEF shared with us figures about the State of Filipino Children’s Health. 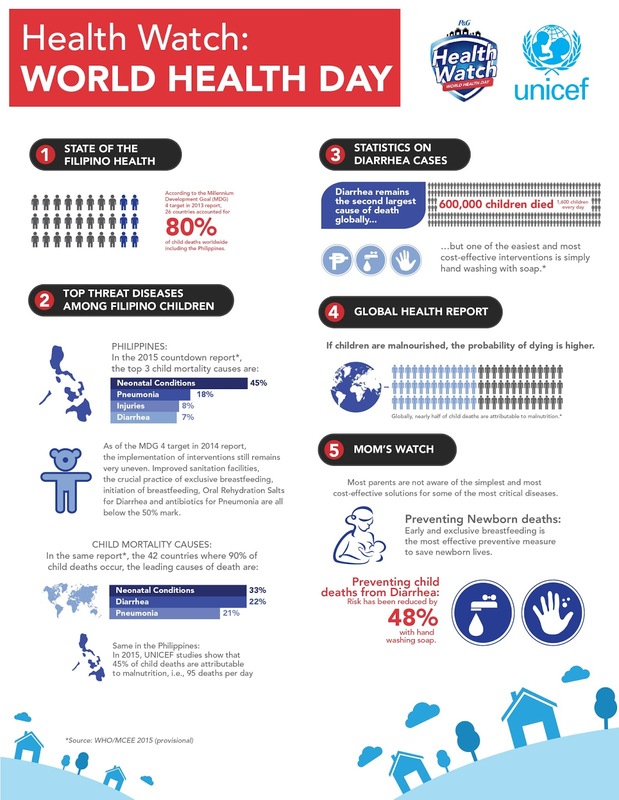 According to a report entitled “A Decade of Tracking Progress for Maternal, Newborn, and Child Survival” conducted in 2015, sad to say that Philippines is among 26 countries which has contributed to 80% of global deaths of children under 5 years old. But did you know that some of these deadly diseases are easily prevented through the simple act of handwashing? Handwashing with soap and water helps reduce the incidence of diarrhea among children by up to 50% and respiratory illnesses such as pneumonia by up to 25%. Among infants, handwashing has also helped reduce infections, which constitute 16% of neonatal conditions. 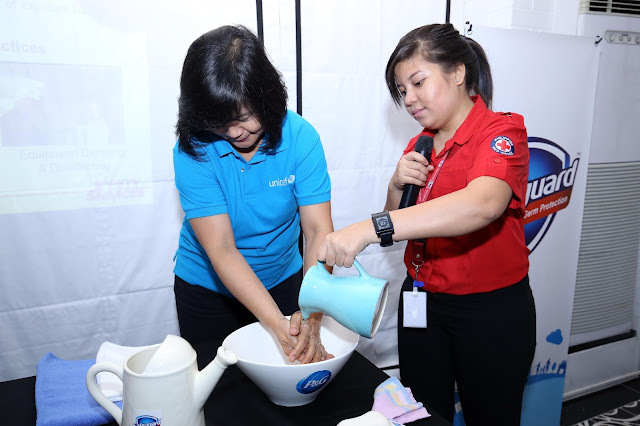 To address this problem, Procter & Gamble, through Safeguard, partnered with UNICEF in implementing its Water Sanitation and Health (WASH) Program, which includes health and hygiene education among children. I remember last month my son Tristan who is in Kindergarten went home from school with a bottle of safeguard hand soap and a Clean Hands, Healthy Kids activity book. According to him, someone went to their school and taught them to always wash their hands to fight germs and sickness. It made an impact on my son, he likes washing his hands now more than ever, thanks to the WASH Program, I find it highly effective. However, beyond this program to help reduce the incidences of deadly diseases, Safeguard also recognizes the importance of health in the context of everyday activities at home. So on World Health Day, Safeguard emphasized that proper hygiene every day also plays an important role in keeping families healthy. 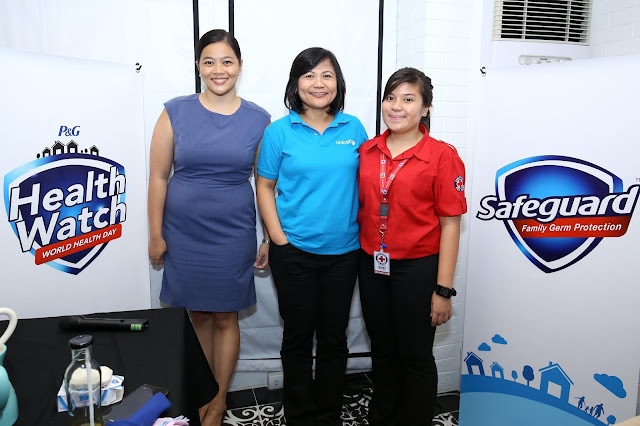 At the first Health Watch lecture, Safeguard taught us about First Aid basics, including proper wound care, in partnership with the Philippine Red Cross (PRC). According to the PRC, the simple act of washing a wound with soap has been beneficial in reducing infections among children, infections which could eventually develop to more serious diseases. Wounds are often the primary entry point of germs and bacteria, thus, wound care is considered a crucial step in disease prevention. But before treating our children’s minor burns and wounds, proper sanitation is equally important among us mommies. As the First Aiders, Parents must be aware that the first important step is washing our hands before treating our children. Washing the wound with soap and water for 5 minutes also greatly reduces the chance of infection, tetanus, scarring, and tattooing of the skin from dirt left in the wound. So mommies, whether it’s a serious disease like diarrhea or everyday complaint like a new wound from playing outdoors, we should always be alert in keeping our family protected. And, with the slogan "Family Germ Protection" the trusted name Safeguard continues to be committed and consistent in promoting health and hygiene for 50 years now. 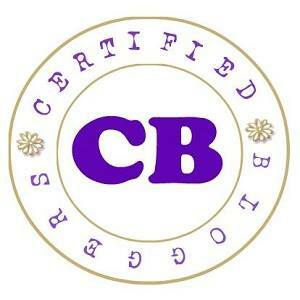 There's nothing more reassuring than knowing that we have partners in health, right mommies? So beyond just World Health Day, Safeguard reminds us to put our family’s health first! 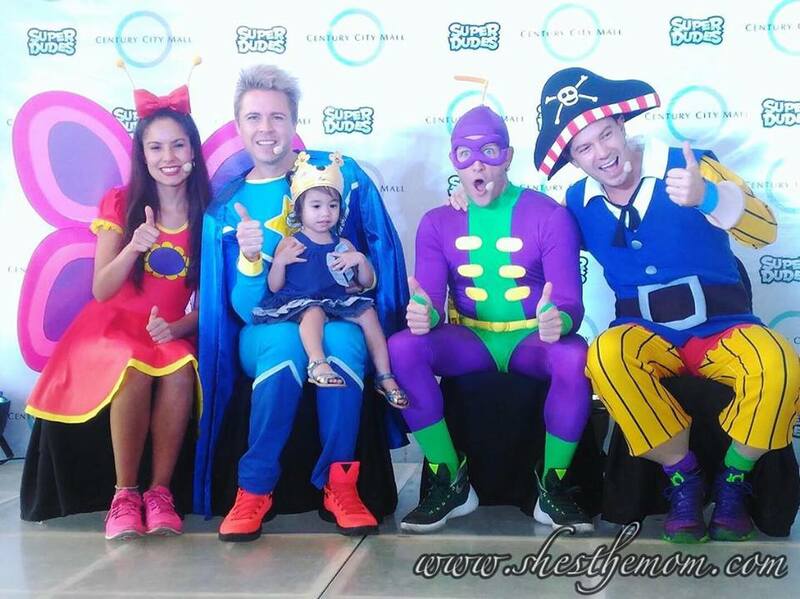 Superdudes children’s book creator Stevie Nicholson held a meet and greet and a book signing event with the media and mommy bloggers last April 6 3PM at the Century City Mall Event Center. 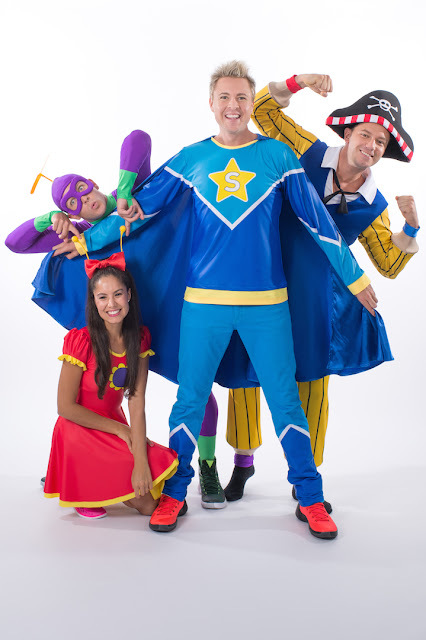 Superdudes is a funny and quirky children’s book created by Stevie Nicholson, a member of the well-loved Australian children’s musical group Hi-5. 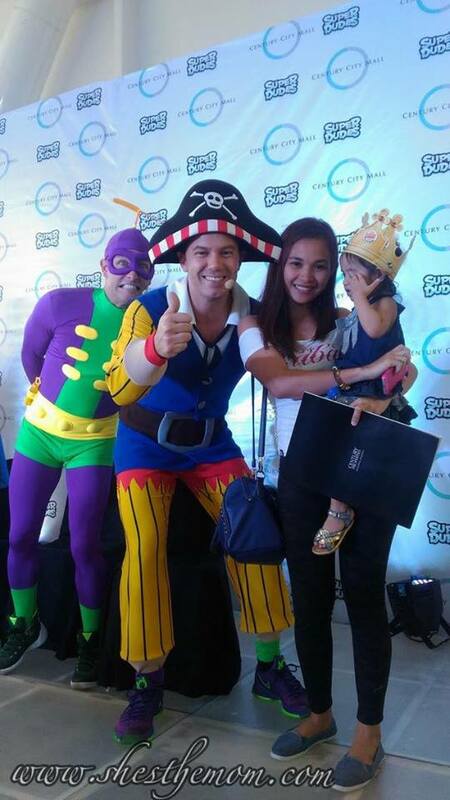 My 3 kids are huge fans of Hi-5 that's why I was so thrilled to be one of the Mommy Bloggers who got invited to the event. I get to bring Brianna with me and it surely made Tristan and Athena jealous seeing our photos together with Stevie and the other Superdudes, but they do understand that they can't come because they have a summer workshop that day. Though of course they are asking me if I can take them to the next Superdudes event. haha! The Superdudes book, with illustrations by Nick Rudich, focuses on capturing the imagination of children in a playful and engaging way and is based on the philosophy that absolutely anyone and anything can be Super! The event started with a short but entertaining performance from the Superdudes then everyone were given the chance to ask them questions. Tristan also got some questions for the Superdudes but since he wasn't able to come, he just threw all his questions at me hahaha! After the question and answer portion, the most awaited part of the event followed, the book signing and photo session. Yey! My Princess Brianna together with the Superdudes! The kid in me has got to have a picture with at least 2 of the SuperDudes , Pencil Pirate and Bubble Trouble! too bad I didn't get to have a photo taken with Stevie, maybe next time haha! With 3 kids, watching kids TV show is a normal thing in the house so I myself knows almost all the cartoon there is. And with hi-5 as one of their favorites I know all their songs already making me a fan too, so it was really great seeing Stevie in person together with his new group, the Superdudes! I also admire Stevie's move in creating his own book as it encourages kids to read! After the event with the media and the mommy bloggers 2 more shows followed with a different set of audience. 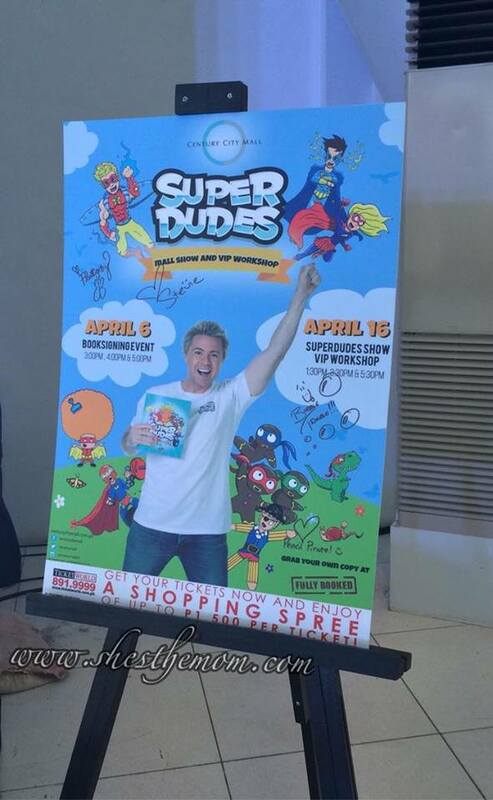 If you missed it, then fret no more because on April 16 at 1:30PM, 3:30PM and 5:30PM, you can still enjoy the ultimate Superdudes experience with a Show and VIP Workshop featuring Stevie Nicholson and the Superdudes in a fun-filled stage show! A ticket of Php1,500 admits 1 child and 1 adult, and comes with a free Php1,500 worth of Century City Mall Gift Certificates! 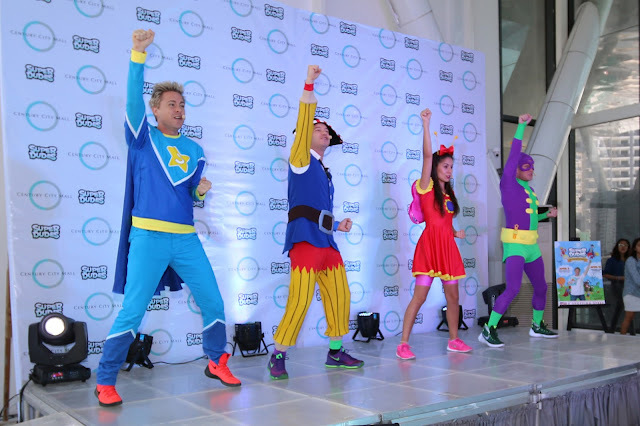 It’s truly a super summer for kids and kids at heart as Century City Mall hosts Superdudes, live. So come along on an adventure and meet Stevie together with Pencil Pirate, Flutterby and Bubble Trouble! 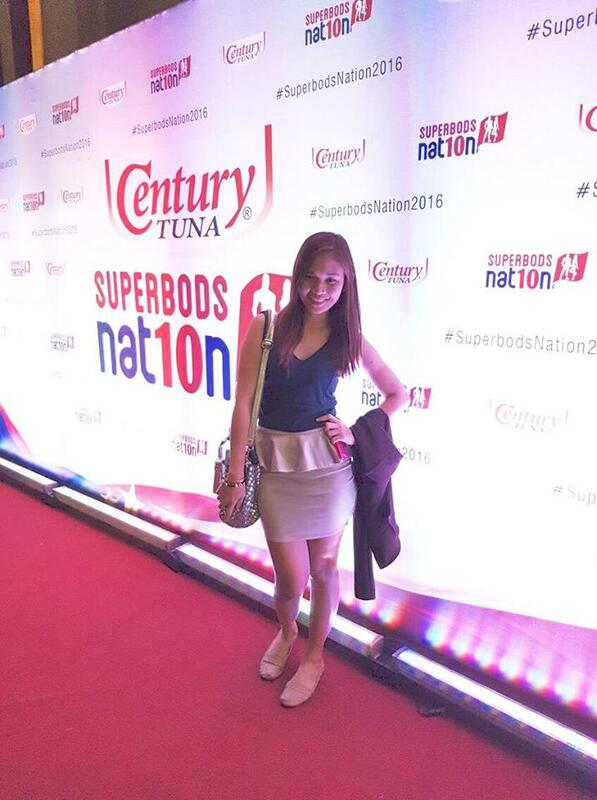 The the sexiest, most awaited health and fitness event of the decade, the Century Tuna Superbods Nation 2016 is about to happen on April 10, 2016 at the Palace Pool Club. It's going to be the glitziest and most glamorous night as some of the country’s hottest stars, celebrities, and past Superbods winners will come together. With the ultimate Superbods herself Anne Curtis together with Derek Ramsey, Century Tuna’s past and present celebrity endorsers Gerald Anderson, Isabelle Daza, KC Concepcion, Aljur Abrenica, Phil Younghusband, Xian Lim, Paulo Avelino and Solenn Heussaff will walk the runway in a grand reunion event, that celebrates 10 glorious years of the Superbods competition. At the same time, the fiery competition between the Superbod hopefuls—each one pushing themselves to be the best they can be—reaches its climax. As the appointed date draws ever closer, the finalists—Olivia Medina, Carmela Fernandez, Ambra Gutierrez, Nancy Leonard, Chet Abella, Maria Martinez, Cassie Umali, Mirtle Gimenez, Kaara Tan, Carla Meneses, Anja Peter, Natalia Lalonde and Tanya Hyde, Jerome Tan, Ryan Sy, Kel Padilla, Erie Obsena, Jake Khan, Pio Luz, Tom Esconde, Cedric Roxas, Shawn Stansbury, Ali Khatibi, Clint Bondad, Andrew Aurellano and Ameen Sardouk—have been busy raising their game as they prepare to prove themselves worthy at the exclusive Palace Pool Club. 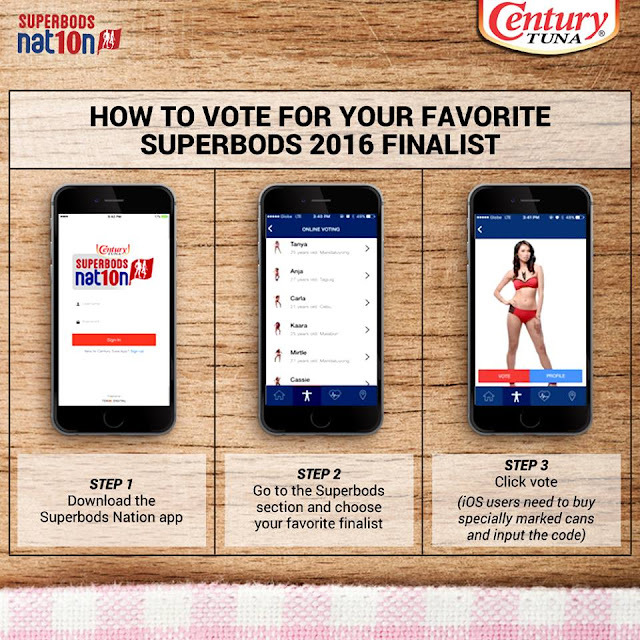 Stand a chance to win exclusive invites to the finals night, by simply downloading the Superbods App and voting for your favorite contender until the April 9, 2016 deadline. Don't miss it out!